If you've ever seen a seal, bobbing its head in the ocean, you might have been too busy admiring its natural beauty to think about the obstacles that this graceful creature had to overcome to reach adulthood. 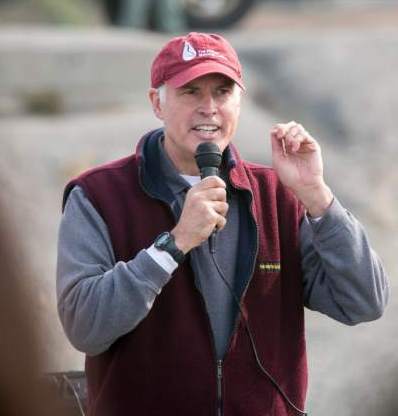 Our guest today on Sea Change Radio is Jeff Boehm, a veterinarian and the executive director of the Marine Mammal Center in Sausalito, CA. When he sees that seal, he sees a potential patient. Ocean trash, toxic algae blooms, domoic acid, and over-fishing are just a few of the health threats that human activity is inflicting on marine life. We discuss these adversities and others facing seals, sea lions, and marine mammals in general, and learn about the work that Dr. Boehm and his team do to try to mitigate the perils of living in an increasingly dangerous ocean habitat.